A fish spatula, a cast iron skillet, an immersion hand blender, and 24 other kitchen essentials every adult should own. 1. A set of stainless-steel measuring cups and spoons because guesstimating ingredients is proven as one of the leading causes of Pinterest cooking fails. This stainless-steel set includes six measuring cups and six measuring spoons. Everything's dishwasher-safe! 2. A nesting bowl and colander set for rinsing produce and draining pasta — two things that you might have ignored in college but should absolutely start doing now. This set is dishwasher-safe! The bowl can be used on its own for mixing or collecting water. 3. A slotted fish turner that can be used for more than just flipping filets — it'll get under anything (burger patties, warm cookies, fried eggs, etc.). 4. A garlic press to do the mincing for you so your hands don't smell like those pungent little cloves for days. This handy gadget works on both peeled and unpeeled garlic, as well as ginger! 5. A set of glass mixing bowls (with lids for storage) to make food prep less messy and more organized. They're actually attractive enough to serve food in as well! 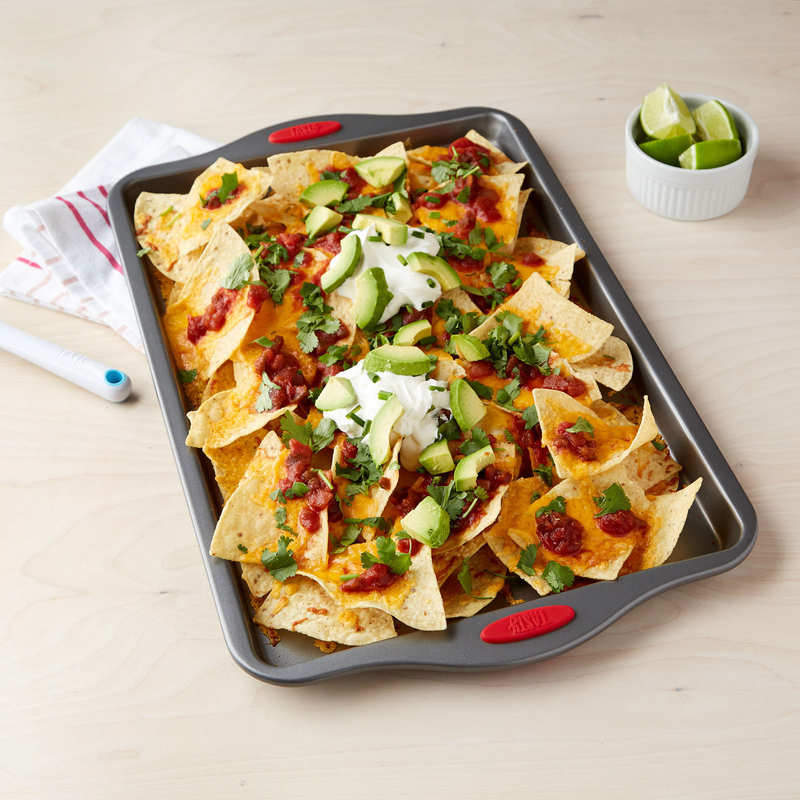 These mixing bowls are preheated oven-, microwave-, fridge-, freezer-, and dishwasher-safe! Each set contains four bowls and four lids. 6. An immersion hand blender to take care of all your blending and food processing needs, if you don't want to shell out for a full-size blender or food processor. Plus, you can use it directly in the pot! This immersion blender comes with a whisk attachment, a three-cup blending/storage jar with lid, and a two-cup chopping bowl that turns the blender into a food processor! All the components are dishwasher-safe (basically everything except the base). 7. An ergonomic pepper mill for switching from pre-ground pepper in a can to fresh-ground pepper to easily move up in life. 8. A versatile cast-iron skillet that can go from the stovetop into the oven or onto a grill. You can cook anything from Shakshouka to quiches to cornbread in it. Get a 10-1/4" skillet from Walmart for $14.88 (also available in 12" and 6-1/2"). 9. An electric knife sharpener because dull knives will make your life unnecessarily difficult no more! 10. 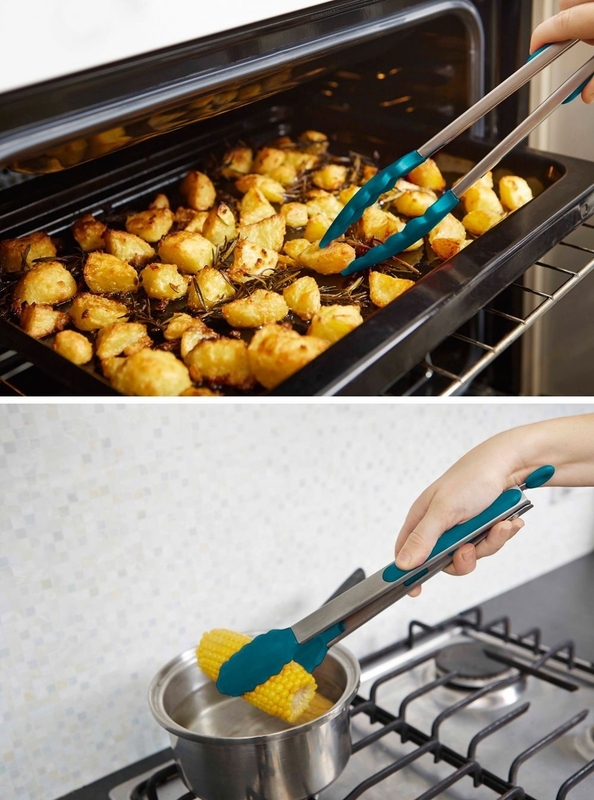 A pair of tongs that can do what your fingers can't, like grab corn out of boiling water or pull a baking dish from the oven. Moral of the story: Unless you have iron fingers, get a pair of tongs! 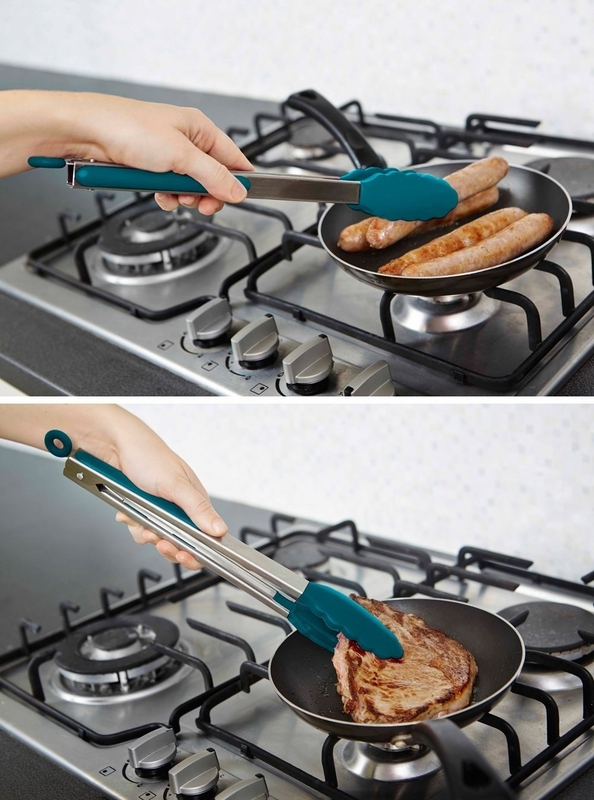 These tongs are made of stainless-steel and food-grade silicone. They're heat-resistant up to 480°F and BPA-free! Get them from Amazon for $9.95 (available in three colors). 11. A spoonula (spatula+spoon) for scraping batter off mixing bowls, sauteing veggies, tasting soup, and scooping food onto plates. This spoonula is made of food-grade silicone, heat-resistant up to 480°F, and BPA-free! Get it from Amazon for $8.24 (available in two colors). 12. 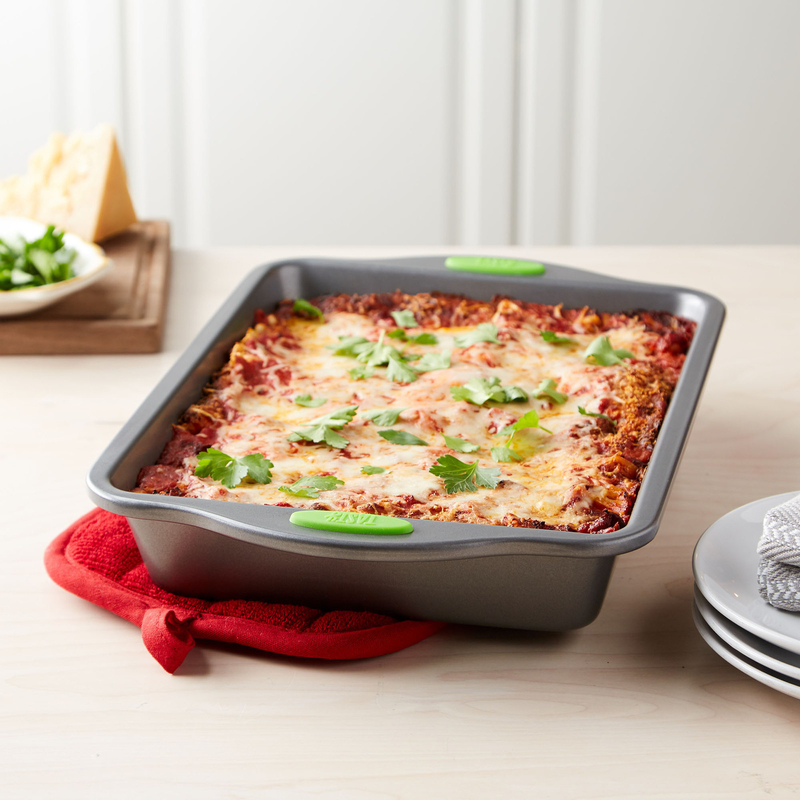 A nonstick baking dish so you can give mom's lasagna recipe a go. It'll also come in handy when you have a company bake sale — brownies, anyone? 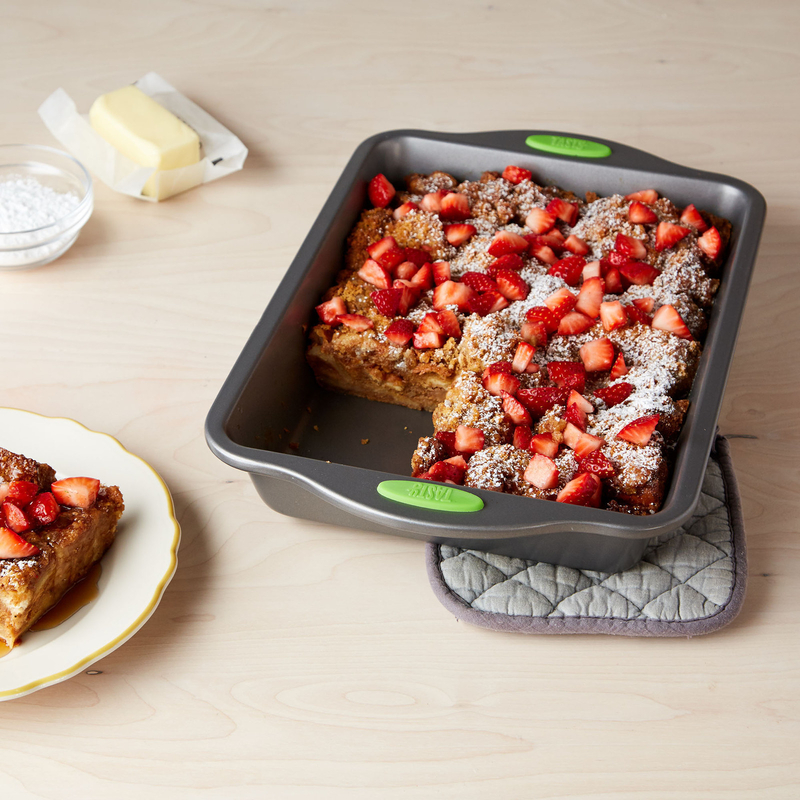 This baking dish is dishwasher-safe. The nonstick coating is BPA- and PFOA-free! Get a two-pack from the Tasty collection at Walmart for $13.74. 13. An instant-read meat thermometer because soon it'll be your turn to host Thanksgiving dinner, and you'll want to make sure the turkey is cooked through! If not, all your relatives will be talking about it for years to come... This thermometer is powered by an AAA battery! 14. A really freakin' fantastic starter chef's knife that won't cost you a fortune but will perform like any of the higher-end brands. 15. A handheld grater for adding a sprinkle of cheese, zest, or chocolate to your dinner or dessert — not only will the dish taste better, but you'll feel incredibly fancy. This grater comes with a protective plastic cover for easy storage! 16. 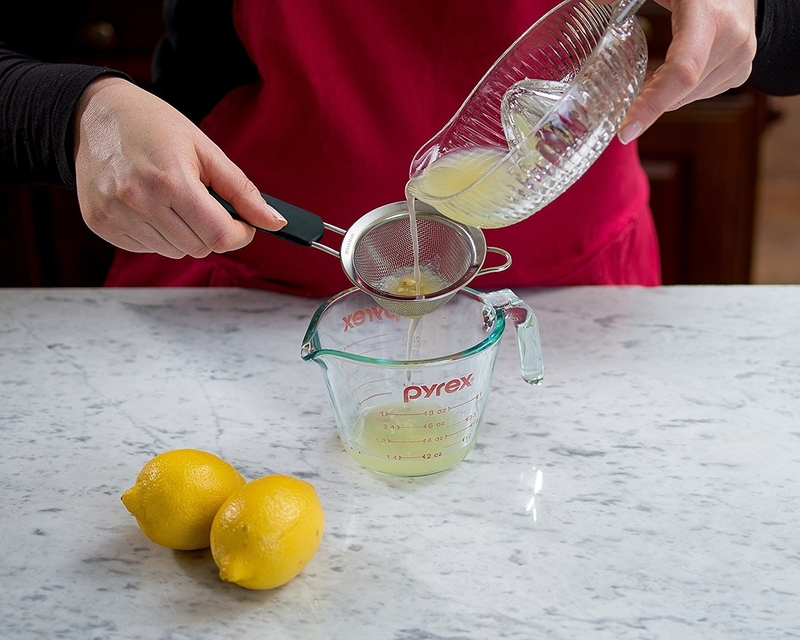 A whisk you should get even if you don't do much baking — you'll need it for vinaigrettes, sauces, and pancakes, too! It'll be a lot easier than using a fork. Get it from Amazon for $9.99+ (available in metal or silicone). 17. An electric kettle because even though younger you took everything iced, older you might occasionally feel like a cup of hot tea. This kettle automatically shuts off after reaching a boil and has a two-hour keep-warm button. It also has six temperature settings for different kinds of teas and recipes! 18. An a-peel-ling set of peelers (Julienne, swivel, and serrated) that'll make it easier to introduce more cucumbers, zucchinis, potatoes, and carrots into your diet. Have you been avoiding these foods because they're hard to peel? That's okay, me too. Get them from the Tasty collection at Walmart for $7.97. 19. A set of mesh strainers for basic tasks like sifting flour, separating juice from pulp, draining berries, and fishing peas out of a pot! Each set comes with one 3-1/8” small strainer (can be used for tea or coffee), one 5-1/2” medium strainer, and one 7-7/8” large strainer (for pasta and such). 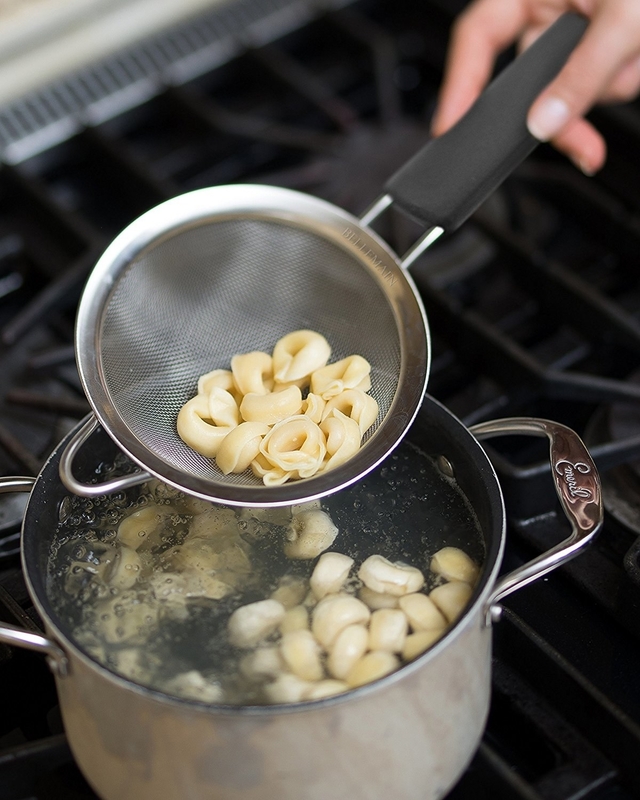 These strainers are made of stainless-steel (with rubber handles) and are dishwasher-safe! 20. A meat pounder because you should never have to settle for dry and tough chicken. Use this handy tool to flatten and tenderize the meat — it'll come out evenly cooked and juicy! 21. 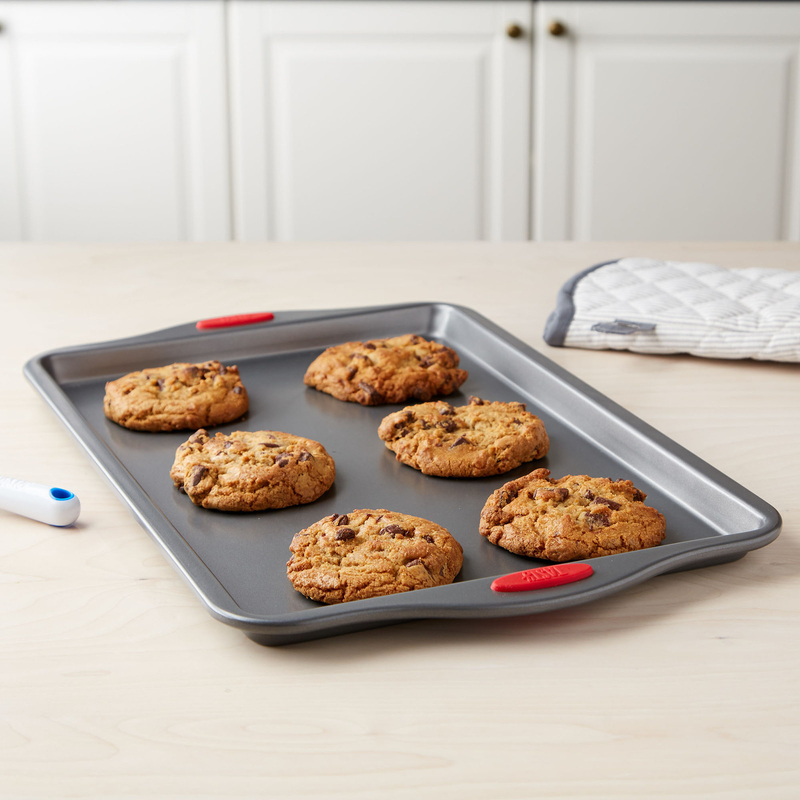 A nonstick baking sheet so you can abandon takeout and store-bought snacks and whip up cookies, nachos, and one-tray dinners at home. The nonstick coating is BPA- and PFOA-free! It's also dishwasher-safe. Get a two-pack from the Tasty collection at Walmart for $14.43. 22. A splurge-worthy solid wood cutting board that'll last you a lot longer than a plastic or bamboo one (if you remember to oil and condition it). It'll also be easier on your knives! Get it from Amazon for $51.85+ (available in three sizes). Washing up? Check out our picks for the best kitchen sponges on BuzzFeed Reviews! 23. A Dutch oven for cooking large batches of pasta, chili, or soup to eat over the entire week. You can also use it to try your hand at deep frying, roasting, or bread making! This five-quart dutch oven is made of heavy gauge forged aluminum covered in PFOA-free and PTFE-free nonstick titanium-reinforced ceramic coating. This basically means that the pot will have fast and even heat distribution and the nonstick coating is non-toxic and durable! 24. A digital food scale to pull out when you need to be extra accurate with coffee or baking ingredients. 25. A soft grip can opener because you've matured and learned that opening a can with a knife should never be attempted, even when sober. 26. A good pair of kitchen shears if the regular scissors you've been using just don't cut it anymore. These'll tear through chicken, slice pizza, and dice herbs faster than a knife! Get them from Amazon for $15.96. 27. A versatile nonstick frying pan for cooking everything that might stick in your cast iron skillet, like an omelet or grilled cheese. This 11-inch fry pan has a diamond-reinforced nonstick coating that's PFOA-free! You'll be a seasoned chef in no time!